Living close to the water (Botany Bay) means it’s important to have your windows cleaned regularly to remove the accumulated salt deposits from the windows which damage windows and frames over time. Although you may find it hard to pay someone to clean your windows, our service will give you value for money over time by increasing the longevity of your windows and frames preventing the need for costly repairs or replacement. We are a local cleaning company located in the St George area with over 20 years experience offering window cleaning services to the suburbs of Brighton Le Sands, Ramsgate and more. So, if you want to have that crystal clear view through a well-cleaned window, you know what to do. Give us a call today and we will glad to offer our window cleaning service at very affordable rates! Our team of well-trained professional window cleaners use the best equipment and latest technology to make window cleaning fast, easy and most importantly, delivers the best results. During the cleaning process, your windows will be cleaned in a way which clears all grease, grime and any other airborne dust and stains. We then squeegee the glass with our professional-grade equipment that guarantees 99% removal of water and dirt from the glass. The edges and sills are carefully wiped giving you flawless windows! 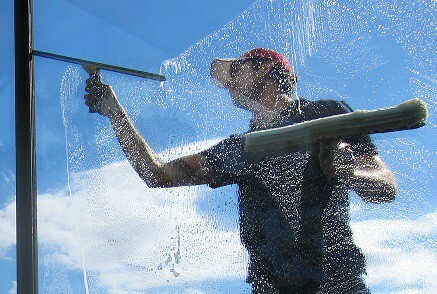 Why Choose Us for Window Cleaning in Brighton Le Sands?